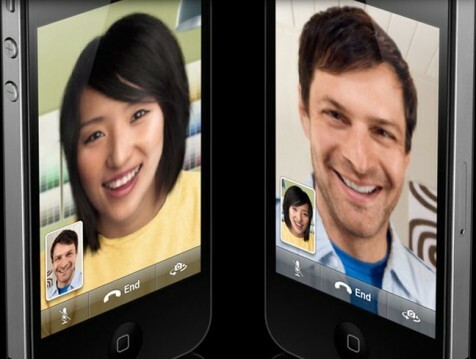 Facetime is a program on Apple's iPhone and iPad that lets users see each other while talking on their phones. Some iPhone users are reporting that their iPhones are taking pictures of them without their knowledge. Users are posting on Apple’s forum that they are seeing pictures of themselves that they did not take while using Apple’s face to face video conferencing program “Facetime”. One user reported that his iPhone took a picture of him when he was using his iPhone in his office at work without his knowing. One person said that it was “very creepy for my phone to be taking pictures of me when I haven’t told it to.” An Apple customer support representative told them to restore their iPhone to default settings, which didn’t fix the problem. That person then took their phone to an Apple store to exchange it for a new phone, and the new phone had the same issue. The problem is being blamed on the latest version of iPhone software iOS 4.3 and experts expect Apple will address the problem with a patch or update. This is the second major issue with the release of iOS 4.3 after users reported Facetime freezing and locking up during the middle of video conference calls last month.